American Express is going full steam ahead with their point devaluation in terms of airline point transfers. Where do us consumers go from here? I've read that Platinum Charge and Centurion members will get a one time 100% bonus on their points in April 2019 when the new rules change over. Whilst that's some sort of gesture, it does not solve our needs moving forward. As far as I can find, there are no limits on earns per month and points do not expire. 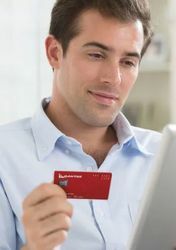 Are there any other credit cards that can do the same OR BETTER? The effective earn rate is sometimes better or the same. Whilst it will now be that 2 MR = 1 airline point, amex will award 2 MR points instead of one....so no difference ongoing. After the changes, the earn rate on many Amex cards will change as well. Amex Explorer will earn 2 MR points converted to 1 airline points per dollar. Amex Platinum will be adjusted to earn 2.25 points on ALL purchases which gives you 1.125 airline points per dollar. The highest flexible currency earn is still Amex when you factor in that, apart from the essentials card, you still earn at least 1 airline point per dollar. In therms of direct earn, the highest after the changes are still Amex cards. Both the Qantas and Velocity Amex Platinum will drop to 1.25 points per dollar which is still higher than anything on the market. Of course, the major burn is the effective halving of your existing points balance, but the earn rate still remains competitive after the changes. Except that Amex is doubling your existing points balance, so there's no effective loss in that regard. AMEX will award 2MR points instead of 1 per dollar spent? On which transactions? We are so dishearten not because of a drastic change in earn rate but a halving of the redemption rate. Now $1 = 1.125MR points (max) = 0.5625 airline points (max). How do I get close to the way it was? Last edited by BigH at Dec 06, 2018, 08.21 AM. The other card worth considering as a alternative to plat charge is Citiprestige. If your spending is mostly on restaurants, airlines, and hotels, it earns 1.5VA/1.2KF,AM,EK/1ppd for many other airlines. For overseas it comes with companion D.C. Card that's forex fee free and still earns 1VA/0.8KF,AM....etc. or same earn rate as above if you are willing to pay 3.4% forex. Of course other daily spent is not as good as Amex but consider its less than half the annual fee, you can use the $750 saved for other cards that has decent earn on everyday spent. StG Amplify and ANZ black are good cards. Not to mention that visa has much better acceptance rate than Amex and usually no surcharge. As an added bonus, Citiprestige is offering huge sign up bonus at the moment. I think you need to like at the detail. Yes they are doubling for SOME Platinum and all Centurion members. This will be credited to your points balance in June. So form 19 Apr your transfer rate halves and your earn rate is devalued. I agree the Bank of Melbourne is by far a better option as almost the same earn and burn rate if transferring to airlines partners. AMEX really do not understand how much this will impact Platinum and Centurion members. AMEX had an outstanding opportunity to secure and retain high spend customers against the big 4 banks. This is now eliminated. effective mileage earn rate becomes terrible for most cards except pt charge. st george amplify signature (and siblings) gets you effectively 0.825 krisflyer miles / $, and no reduction on payint the tax office, is a great alternative. Last edited by ChrisCh at Dec 06, 2018, 10.16 AM. BigH: "Now $1 = 1.125MR points (max) = 0.5625 airline points (max)." That's incorrect. The 'everyday' earn rate for Platinum will become 2.25 Membership Rewards points per $1 spent, equal to 1.125 frequent flyer points per $1 spent. Every one of these programs with every card changes over time. No sooner will you move your business away from Amex to someone else and WHAM, you'll get the "we're making changes to our program" letter from them too. I've done a break down of the Amex changes based on my typical spend (after we get the double points deposit in April) and I can say that with the bump up on on everyday spend, I'm actually looking good. Am I cancelling my Amex Platinum Charge card and moving away....no I'm not The overall benefits are still way too good e.g. travel credits on Charge and Reserve, travel insurance, shop offers, hotel status etc etc just too good. I love the points obviously, but the complimentary domestic travel insurance on the Velocity Platinum AMEX has saved me in excess of $2000 this year over three different trips. I also find that while the point earn rates are reducing the accepted merchants are increasing so overall I’m still earning more. If you only had Amex platinum Charge in the past, this is not going to change the game so much, except losing higher earn rates in restaurants. They will preserve their points value by getting a 100% bonus and continue to earn higher 1.125 airlines miles going forward. However, the people who also had Amex Explorer and Amex Platinum Edge along with Platinum Charge to maximise their earnings like myself, will lose those added benefits. My plan is to drop AE and APE and only to continue with Charge, because, the Amex Platinum Charge will still be the highest flexible points earning card going to be left in the market. For the first time ever, I'm planning to get my first non points credit card next year. Since these devaluations over the last 2 years, I'm earning less than 20k points per year from credit card, so not worth it anymore. I've found much more value using Qantas mall and the velocity store, earning points on all my favourite retailers (7 points per dollar at Kogan, up to 10 points per dollar at the iconic, petstock, etc). I'm looking forward to giving smaller banks such as Xinja a go next year once they get up and running and start to get credit card options. I feel your pain and think that for all non Platinum card holders the party is almost over unless you are a massive spender. We've had a great run and flown J for the past 12 or so years for "free". Its time to look at other options like Avianca Life Miles.We got lucky that they had a Black Friday special and managed to get J MEL- LAX return on United for $3400 each. Half price. I think this is the way of the future. Asia Miles are getting very pricey and QF and VA don't even enter our heads for J availability. So basically, we are better off from April onwards? WOW. How did this discussion turn positive for AMEX?